Oppdal is a great starting point for summit trips and randonée skiing. Both in Storlidalen and Innerdalen are summits that have relatively easy accessibility, and with great conditions during the descent. It gives a very special sense of freedom to ski down a mountain side in untouched snow, where you are the only one who marks the track. In Storlidalen you can combine the summit and skiing trip with a stay at ‘Bortistu Gjestegård’, which is the perfect base to stay for excursions in the area. 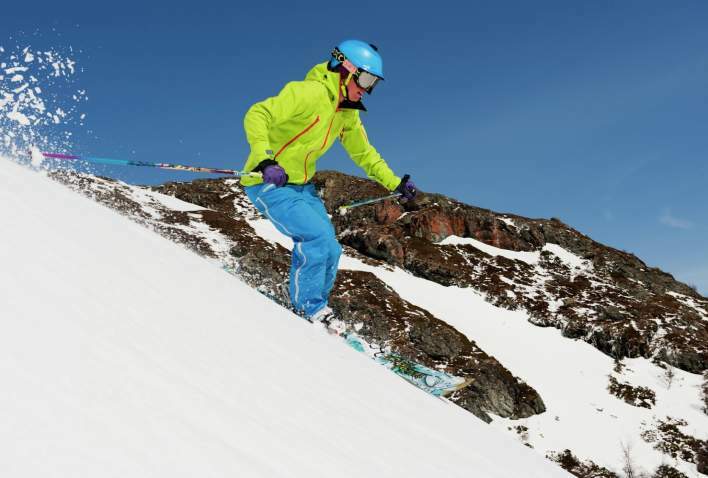 The conditions for freestyle skiing in Storlidalen are generally safe from January to March, but nevertheless, check local conditions carefully before heading out. Plane: Trondheim Airport is a 2 hour 45 minutes drive from Oppdal. Train: The stop Oppdal Skysstasjon has 3-4 trains arriving from Oslo a day, and 4 trains arriving from Trondheim. From Oslo it takes about 5 hours, and from Trondheim it takes about 1,5 hours. Bus: From Trondheim you can get to Oppdal with AtB. From Oslo you can use the buscompanies Lavprisekspressen or Nettbuss. Distance: From Oslo: 413 kilometres (E6), 5 hours 11 minutes. From Trondheim: 119 kilometres (E6), 1 hour 50 minutes.